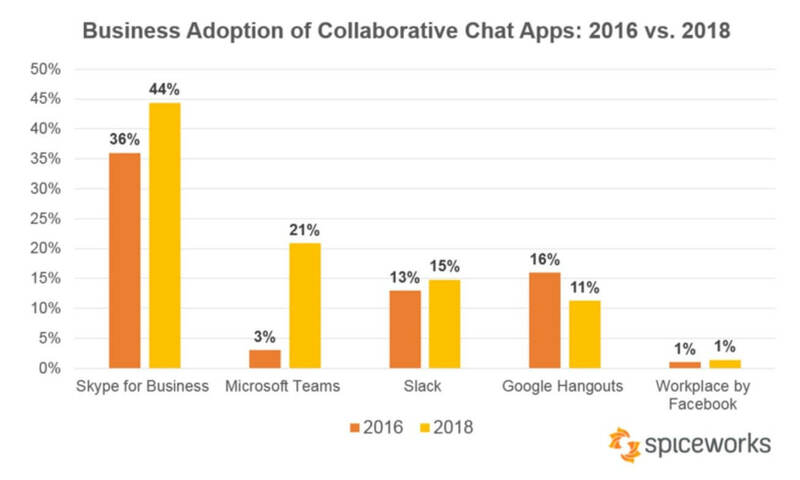 In brief: When it comes to collaborative chat apps, Slack is one of the most popular options available, but the platform is languishing in the face of Microsoft Team’s growing popularity. According to a new survey, the Redmond firm’s software is now the second most-used chat app for businesses—a result of its massive growth over the last couple of years. The report comes from IT network Spiceworks, which surveyed 901 organizations across the US and Europe. 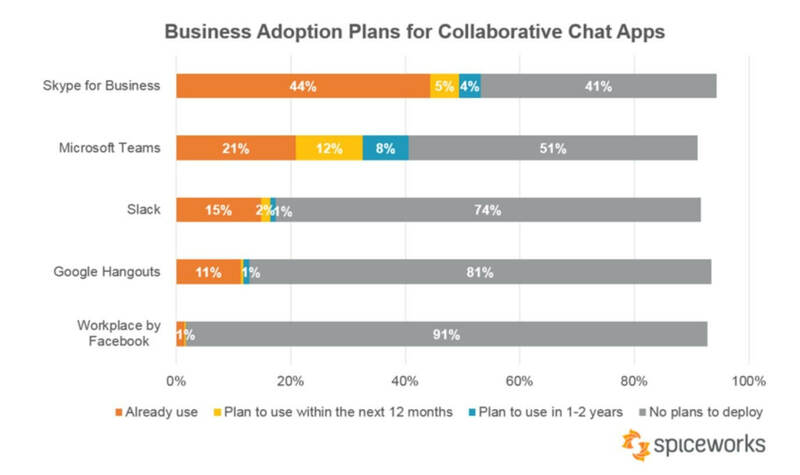 It found that the most popular collaborative chat app in the workplace is Skype for Business, which is used by 44 percent of participants. 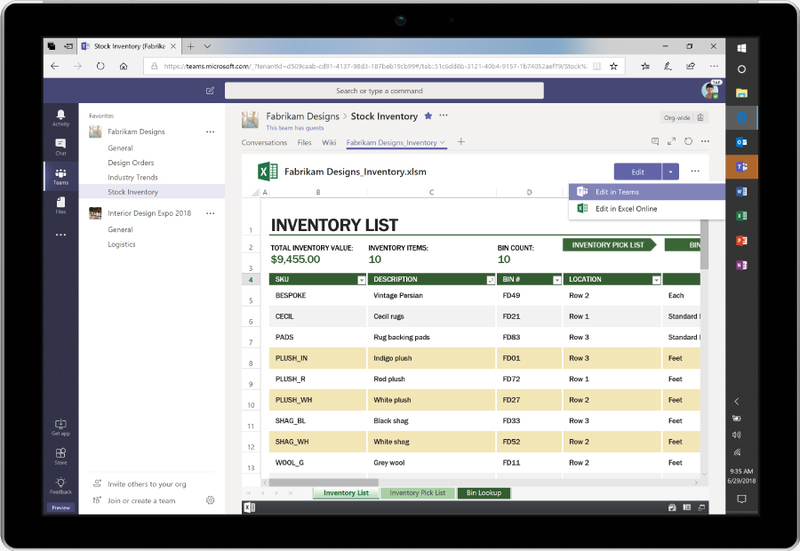 Next is Microsoft Teams with 21 percent, followed by Slack (15 percent), Google Hangouts (11 percent), and finally Workplace by Facebook, which is used by just 1 percent of those interviewed. What’s most interesting here is Microsoft Teams’ monumental growth over the last 24 months. It jumped from 3 percent usage in 2016—the year it launched—to its current 21 percent. Slack, meanwhile, only grew 2 percent over the same period, while Hangouts fell by 5 percent. Spiceworks predicts that Teams’ growth won’t slow down over the next couple of years. By the end of 2020, it’s expected to be used by 41 percent of organizations, while Slack is predicted to rise by just 3 percent. This is mostly because of Microsoft’s announcement that Teams would be the primary client for meetings and calling in Office 365 over Skype for Business. While some see the rise of these collaborative chat apps as a threat to email’s existence, industry workers disagree. Only 16 percent of IT professionals who were surveyed believe chat apps will replace email within three to five years.